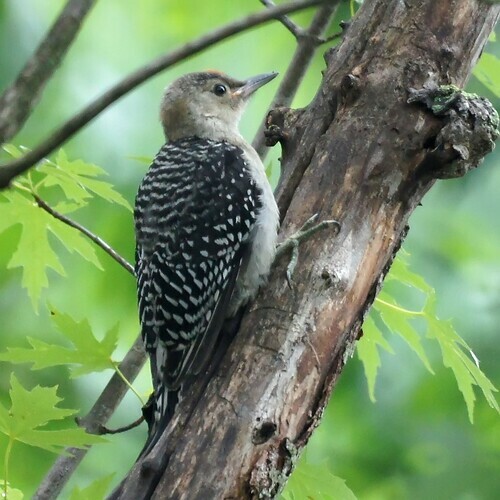 Well, no visible nests this spring, but we had a lot of woodpeckers and other birds coming and going with food. We could see them flying across the lake, and we hoped that eventually they would bring their young to us for all the good feed we offer. 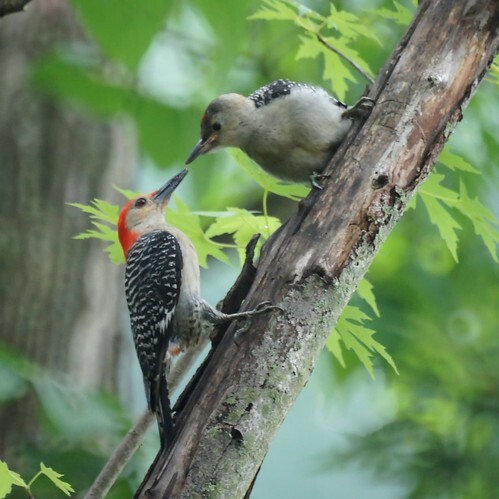 In this photo we have a male red bellied woodpecker feeding grape jelly to its young.